This contemporary chair will make a striking addition to your office. 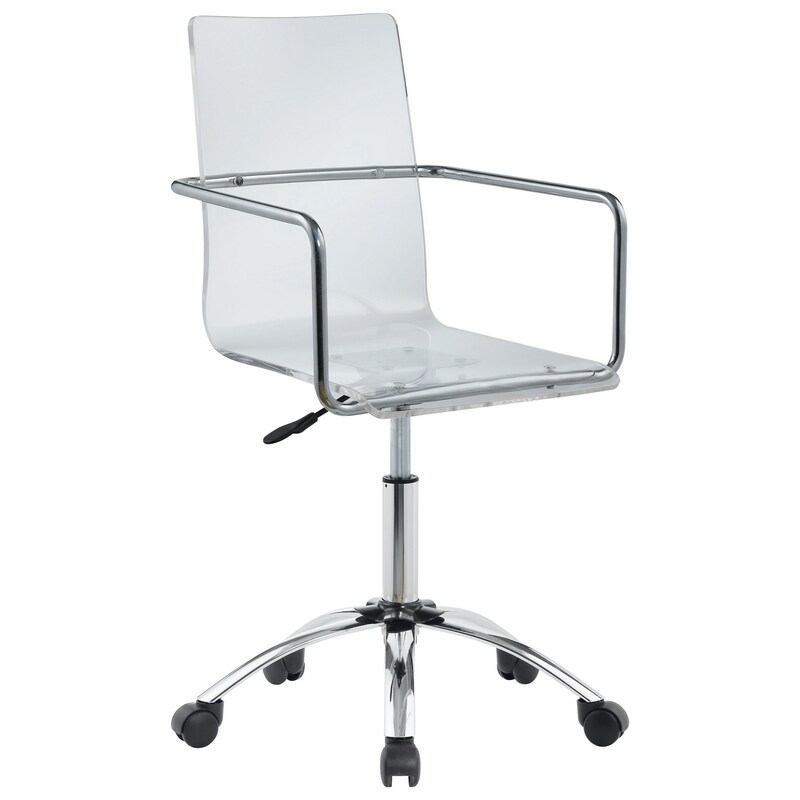 The seat and backrest of the chair are made from acrylic while the base is sturdily made of steel. The chair swivels and can adjust up and down. The Office Chairs Amaturo by Coaster at Red Knot in the Oahu, Honolulu, Kapolei, Pearlridge, Salt Lake, Hawaii area. Product availability may vary. Contact us for the most current availability on this product. The Office Chairs collection is a great option if you are looking for furniture in the Oahu, Honolulu, Kapolei, Pearlridge, Salt Lake, Hawaii area.